Flaky pastry stuffed with cumin stuffed flavored potatoes and peas, served with tamarind sauce. Crispy battered potato wedges served with tamarind chutney. Connotation of onions, silver beet and spices mixed in pea flour batter and fried, served with mint chutney. A very popular Nepalese delicacy. Available chicken or vegan. Served fried with homemade chutney. Whole button mushrooms dipped in tandoori marination and cooked in tandoor, served with salad and mint dip. Flavored with mixed peppercorns, garlic and served with mint chutney. Chicken breast pieces marinated with yoghurt, fenugreek leaf, cooked in tandoor served with homemade sauce. Succulent marinated chicken barbecued to perfection in charcoal oven served with mint chutney. Minted meat with exotic herbs and spices, cooked on skewer served with salad and mint dip. Stir fried chicken with garlic saute onion, capsicum and finish with ginger, lemon juice, soy sauce. Marinated prawns cooked to perfection in tandoor. Combination of samosa, onion bhaji, Aloo Pakora, and Vegan Dumpling (momo). 2 pieces each. Tender spring chicken marinated with fresh herbs and spices and cooked in tandoor. 2 Onion bhaji, 2 samosa, 2 chicken tikka, 2 asari kebab, 2 tandoori chicken. Two Pieces of tandoori chicken, seekh kebab, chicken tikka, tandoori prawn and kasthuri kebab. Tender tandoor baked chicken in a dreamy masala sauce. Refreshing mango flavors, cream and spices make this meal simply the best of all. Cooked with fresh lemon, spices and fenugreek. Cooked with tomatoes, onion, ginger and garlic in thick sauce. Tandoori chicken cooked in tomato-based sauce garnished with coriander. A host of spices sauteed in rich tarka base with an abundance of capsicum and onion. Chicken cooked with capsicums, onions and exotic spices. 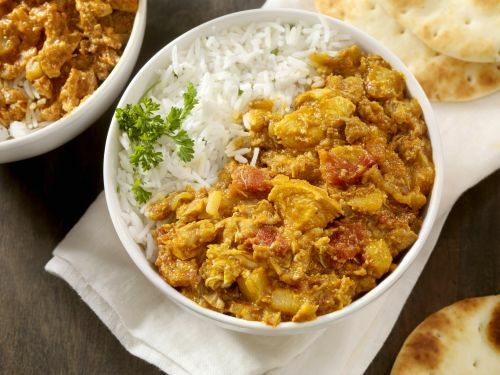 Sweet chicken curry (Scottish Dish). Slowly cooked with yellow lentils, chopped onion, tomatoes and coriander. South Indian delicacy simmered with coconut cream, mustard seeds and curry leaf. Cooked in garlic saute spinach puree with fresh tomato and ginger. A hot curry with ground chili, garam masala and fresh potatoes- a famous dish from Goa. Tender lamb or chicken cooked with onion, tomato and finish with pomegranate spices and coriander. Sweet and sour flavor, cooked with peppers, onions and coriander. Lovely mild curry with deliciously nutty and creamy sauce made with cashews paste and finish with dry mint leaf. A sumptuously creamy sauce which has delicate blend of spices with grated coconut flakes. Chunk of chicken in a paste of curry leaves and ground spices. Cooked with abundance of ginger, tomato, coriander and onions. One of the signature dish of Kashmiri cuisine, rich and flavoursome with a medium of spiceness. Cooked in a sumptuously creamy sauce which has a delicate blend of spices with grated coconut flakes. Cooked in a lovely mild curry with a deliciously nutty and creamy sauce made with cashews paste and finished with dry mint leaf. Simmered with coconut cream, mustard seeds and curry leaf. Cooked in a hot curry with ground chilli, garam masala and fresh tomatoes - A famous dish from Goa. Slowly cooked with yellow lentils, chopped onions, tomatoes and coriander. Cooked with an abundance of ginger, tomatoes, coriander and onions. Cooked with peppers and onions with coriander. A sweet and sour flavour. Cooked in garlic sauteed spinach puree with fresh tomatoes and ginger. Boneless goat cooked with an exotic blend of Indian herbs and spices. Prawns sauteed with onions, capsicum, cooked in coconut milk sauce. Tiger prawns cooked with capsicum spices, tomatoes and garnished with coriander. Chunky pieces of fish simmered to a perfect texture along with spices and herbs and coconut milk. Prawns cooked in creamy tomato based sauce. salad. This is dine in special, no takeaways available. Lamb shank cooked in a spiced yoghurt curry. A deliciously thick curry with ground spices, yoghurt and fresh coriander, tomato and ginger. Served with cumin rice. A distinct curry from Chettinaad region of southern India made with coconut, red chillies, mustard seeds, ground spices and curry leaves. Served with peanut rice. Marinated paneer tikka cooked to perfection in tandoor, finished with tomatoes, capsicum, onion with tikka sauce. Served with cumin rice or plain rice. A wholesome blend of lamb or chicken basmati rice, garnished with roasted nuts and complimentary raita. Boneless chicken kebab, cucumber, olives, tomato, mixed green salad with honey mustard dressing. Mushroom, green pepper, onion, green salad, Kalamata olives, with mint dressing. Prawn, sun-dried tomatoes, onion, green pepper, mesclun with olive vinaigrette dressing.